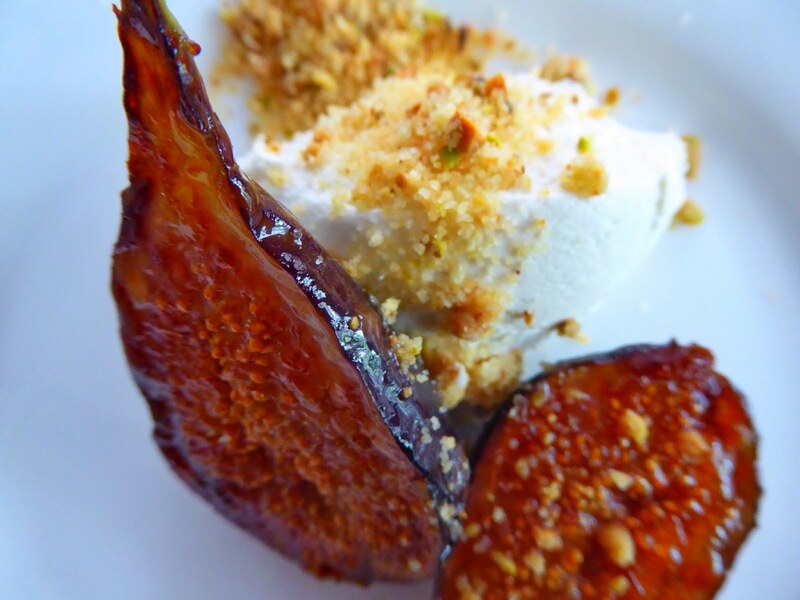 Naturally sweet, juicy, and beautiful, figs are truly the perfect way to cap off a summer meal. Alright, full disclosure: I am no expert in dessert. I’d pick savory over sweet any day of the week, but the odd dessert really does tickle my fancy. 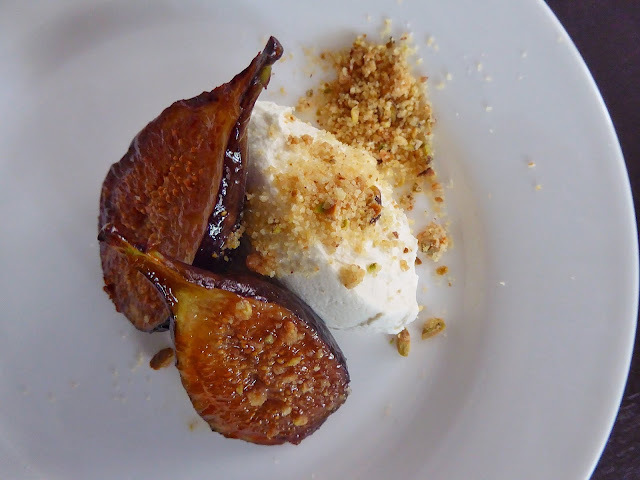 Today’s take on dessert is a play on a cheese board, featuring caramelized figs, mascarpone whipped cream, and sweet-and-salty pistachio crumble. This no-fuss dessert I’ve come up with is perfect for fellow cooks like myself because it requires hardly any measuring, minimal baking, and can be altered to be as sweet or savory as you choose. My dish is so easy to make, can be prepared largely ahead of time, and is absolutely stunning! Next dinner party you have featuring a spectrum of dessert lovers and haters, appeal to the masses with this easy, delicious, and impressive sweet and salty dessert. 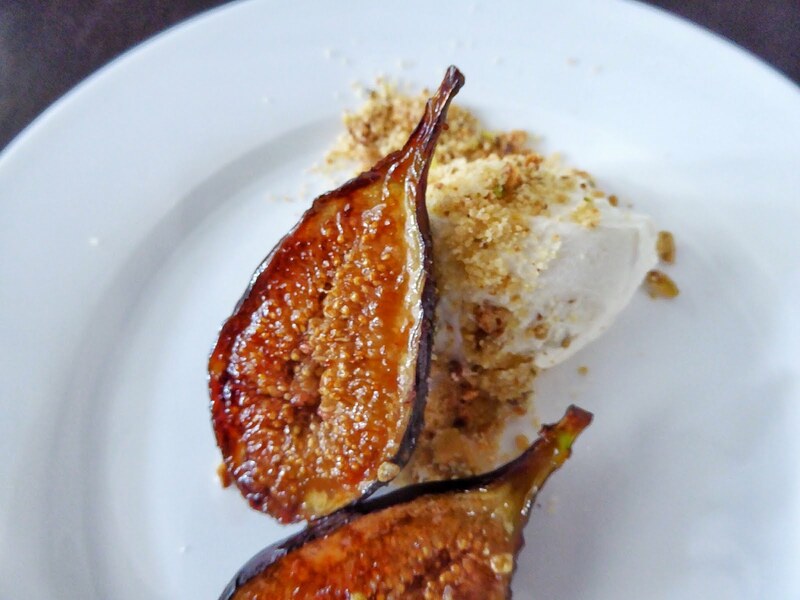 This fig dessert features only three components, but the true star is the fig. 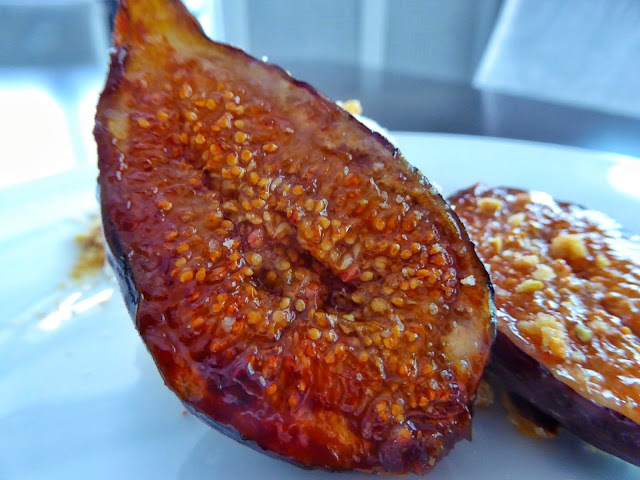 I cut the figs lengthwise and caramelize them in a bit of sugar, butter, and balsamic vinegar for just a minute or two, forming a beautiful golden layer on the open face of the fig. The next component is the mascarpone whipped cream. Mascarpone is almost like cream cheese, but much lighter and smoother. Whipping it with a splash of vanilla, a pinch of salt, and the whipping cream forms a fluffy, sweet and savoury cream component to the dessert. Finally, to counteract the mushy consistency of the fig and whipped cream, I top the dish with the easiest pistachio crumble ever. Simply chop up some roasted pistachios, mix with a bit of salt, flower, and melted butter, and bake for 5 minutes. The crumble adds the essential crunchy component to the dish, but also adds visual appeal, a sweet-salty flavour, and continues on the theme of the cheese board with the pistachios. YUM. If you’re looking for more ways to highlight the beautiful fig this summer, click here!